Hello and welcome! It's the 15th today - halfway through! - and that means it's time for the Gossamer Blue team to offer up some mid month extra inspiration. 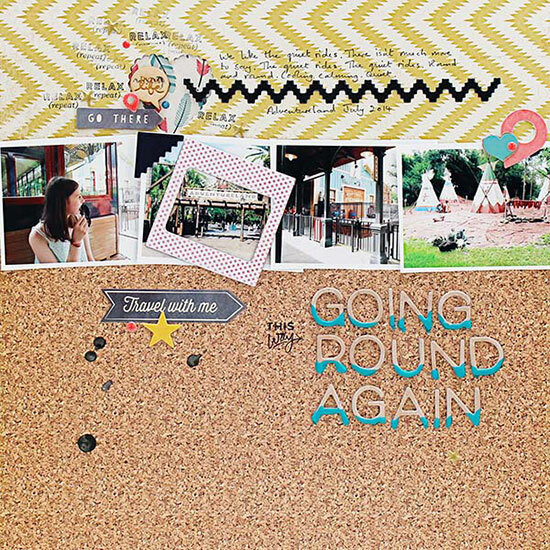 I especially loved that Gossamer Blue cork board paper (Add on 2) and the Main Kit alpha from Ctate paper. I could see lots of options - maybe pair the cork and wood with reds and think about doing a Christmas page? Maybe not. Or with the leaf greens? No: I'll keep that in mind for the end of the summer. so that they picked out the blue in the stunning Crate Paper feather pattern. I have plenty of letters left to try the same technique with a different shade. That's it for this month. See you next time? Now click on a name to hop round and check out the inspiration from the rest of the team. 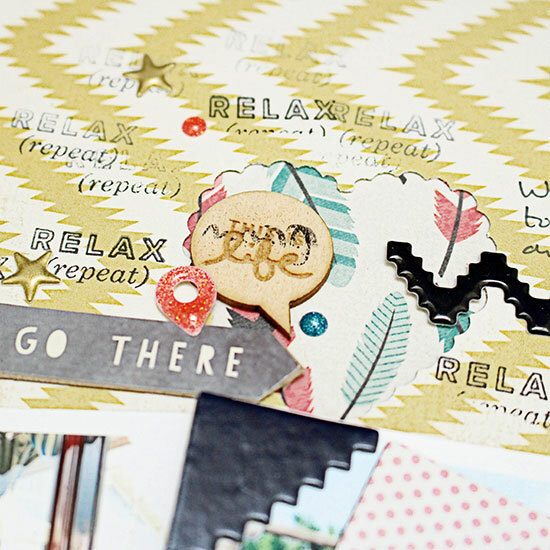 You're sure to find something to get you summer scrapbooking. Katie Ehmann Kellie Winnell Kelly Xenos Michelle Wedertz Patricia Roebuck Rebecca Luminarias Sandra Dietrich Sian Fair - you are here! Beautiful page and loving those dipped alphas! Such a clever yet simple idea to dip the alphas ~ they work really well with the whole page. Fun page. I just saw someone else dipping letters too. I must try that. dip dyed alphas? That rocks!! Love this page. 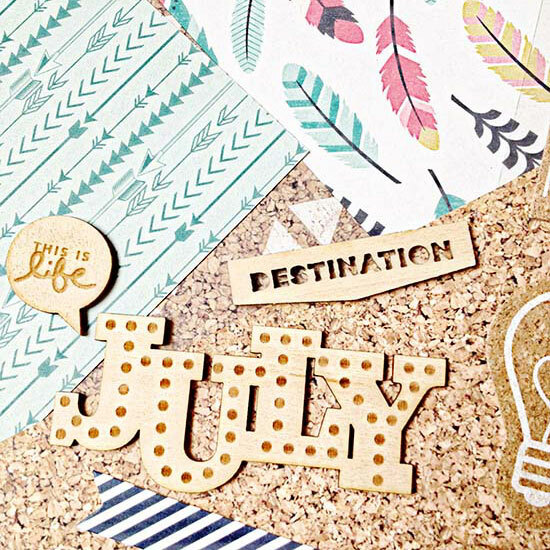 Love how you used the cork paper and those letters are amazing!!! Great idea to dip the alphas in the paint! I love he little pops of colour on this page. And the dipped letters? I'm definitely having a go at those! Love those dipped letters - very cool! I'm going to have a go at this digitally :). Gorgeous colours and yeah another who likes the dipped letters. 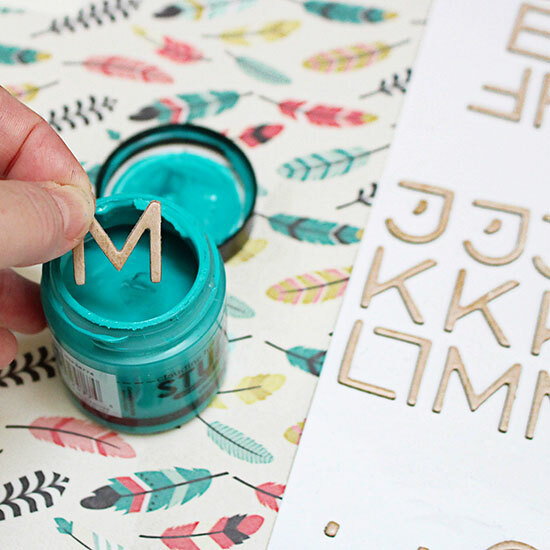 I love this page and those letters look gorgeous, what a great idea to dip them in paint! It looks great and I love what you did with the letters!